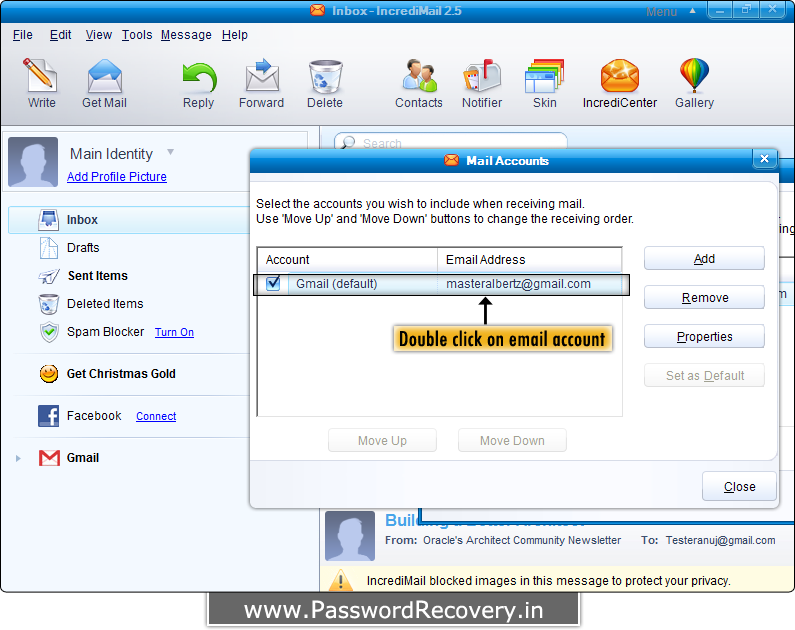 Retrieve forgotten password of your email account in IncrediMail. 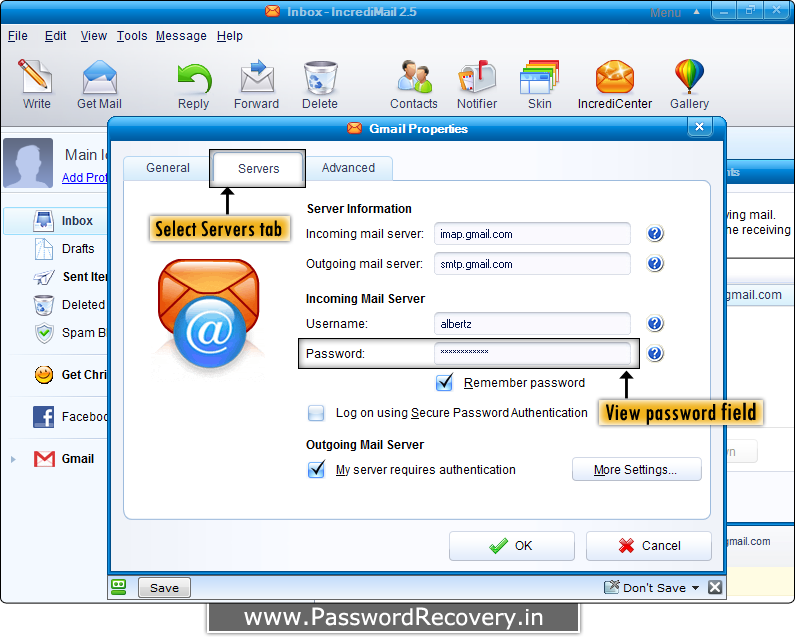 Recover lost passwords even with special characters. 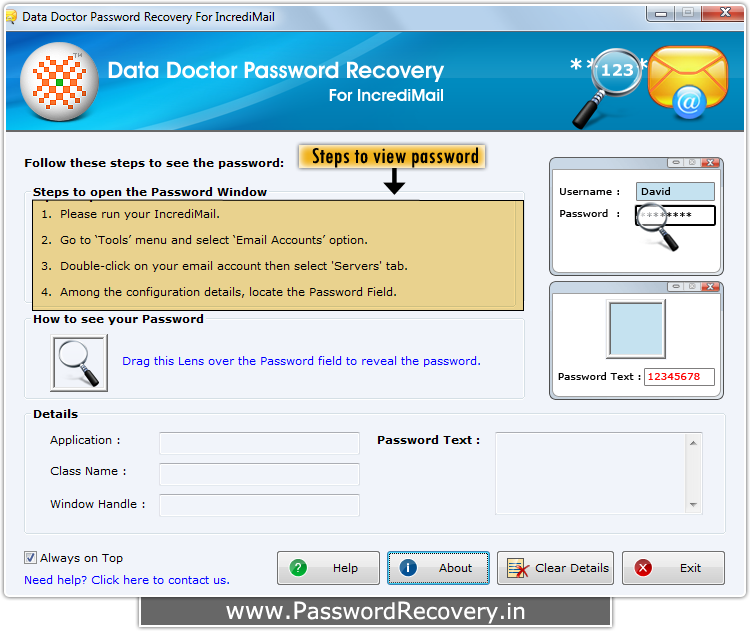 Password recovery by "Password Recovery Software For IncrediMail"
How to Recover Password from IncrediMail software? 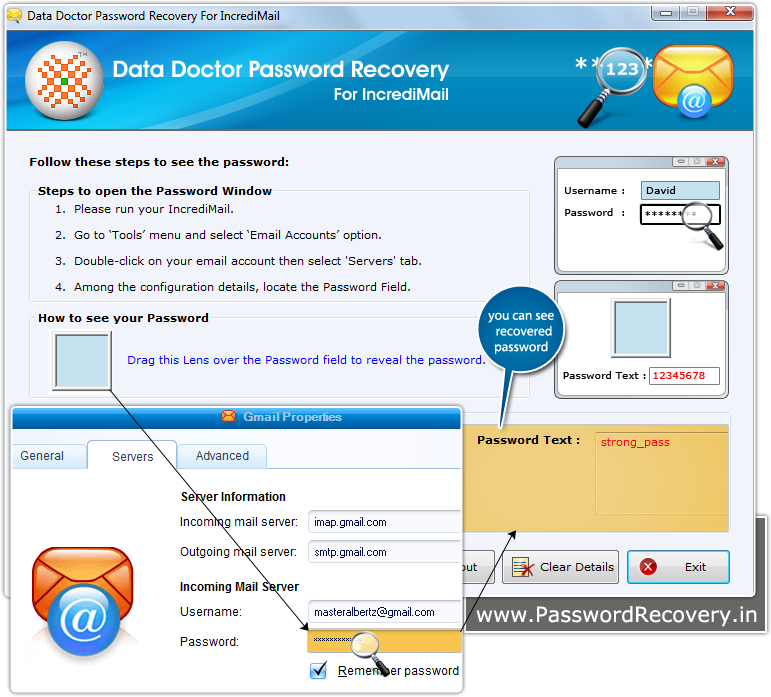 First you need to install “Password Recovery Software For IncrediMail" on your computer system. After installing, when you run software, the above screen will be appeared. 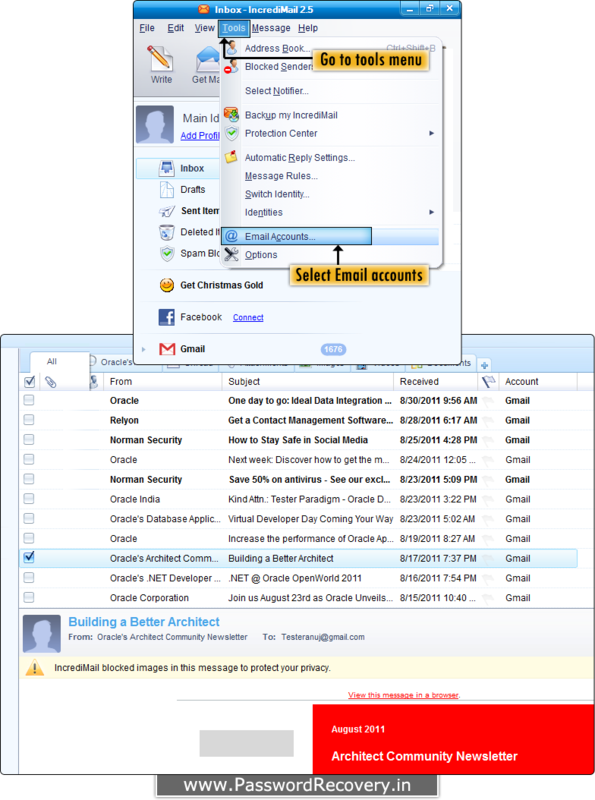 First open IncrediMail then Go to 'Tools' Menu and select 'Email Accounts' option. Now, Double Click on your 'Email Account' to select your account as shown above. Select 'Servers' tab to see the password field. 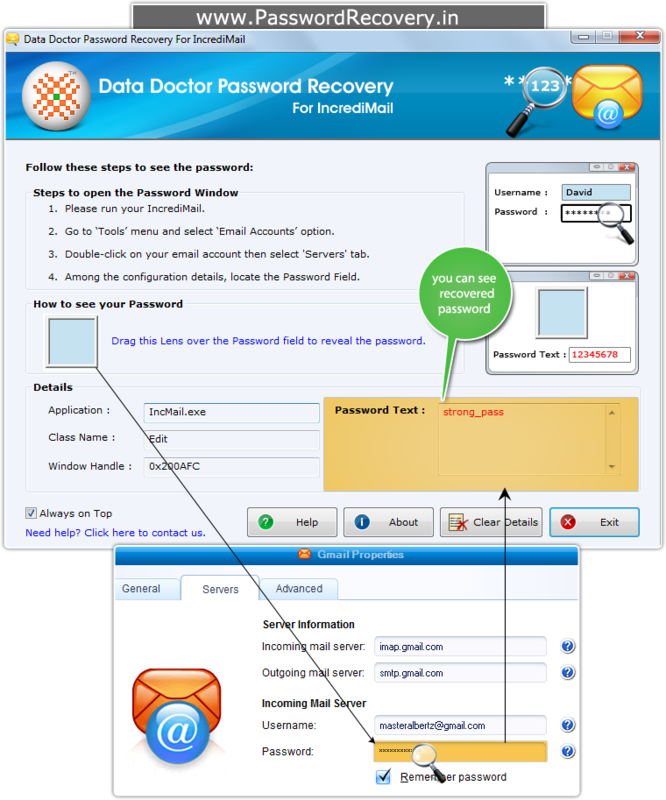 Drag lens over the password box to view password, as shown above. Recovered Password is displayed in Password Text Field (for e.g. strong_pass) at right side.